The latest census data shows that both men and women are getting married later in life - men are waiting until they are almost 30 and women are delaying marriage until 28. This trend has economic ramifications as people usually get married, then buy a house and after that, have kids. 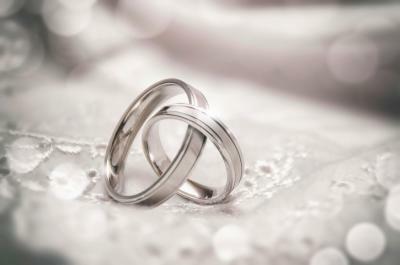 Getting married also combines household resources and provides a buffer for unexpected financial downfalls, such as job loss or house foreclosure. This reminds us of the relationship of community banks with commercial real estate (CRE) lending - deeply committed but with many seeking a buffer. The OCC's latest report has some hinted warnings for community bankers on this. CRE lending has been a lifeline for community banks squeezed by razor-thin margins. Boosted by CRE lending, community banks with <$1B in assets have led the industry in ROE last year, according to the OCC. But instead of applauding the performance of community banks, the OCC is raising a warning flag in a recent report. The lure of CRE lending is so strong, that some banks are edging into dangerous territory from the regulatory viewpoint and loan exposures to capital have become increasingly concentrated in CRE. In its latest Semiannual Risk Perspective, the OCC came down especially hard on CRE lending, particularly by community and mid-size banks. The OCC report released in spring 2017 finds 388 banks had at least 25% of their capital in CRE loans and experienced 3Y growth rates of 50% or more at the end of 2016. That is an 8.4% increase YOY. They also warn the competition for CRE business has put risk management on shaky ground, as some banks have begun loosening risk controls in the push to capture business. The OCC is concerned these banks are overlooking the issue of increasing concentration of assets. The OCC isn't warning that banks are in danger of imminent collapse as a result of CRE lending. But it is pointedly telling the industry that its love affair with CRE lending is worrisome and more analysis and controls are prudent. The OCC has been monitoring the CRE situation since early last year, and its comments about ongoing trends have gotten subtly more urgent. In the latest risk report, the OCC offered some perspective on the multi-family sector. It warned apartment lending is in a more advanced stage of the vacancy rate cycle than other commercial property types, that vacancies have climbed YOY, demand has slowed, new apartment construction has outpaced demand (particularly in the luxury end of the market), and that slower rent and net operating income growth are likely over the next 3Ys. Community banks should be reviewing this portfolio carefully to understand the risks, ramping up stress testing and ensuring enough capital and reserves are in place to weather any potential storm that may arise in the future. Multifamily lending isn't the only sector of concern but it was highlighted first so we point it out to you this morning. In the meantime, the bottom line is that CRE lending has been a welcome profit center for community banks, but now may be the time to revisit your portfolio to evaluate which areas are more exposed to risk. Knowing where you stand is critical to maintain a strong and longstanding relationship with CRE. Yields landed unchanged as the latest economic data, speech from Fed President Bullard and tax plan details were all contemplated by investors. President Trump's tax proposal framework would decrease the corporate rate from 35% to 20%, lower the rate for pass-through (Sub S) businesses from the individual rate of 39.6% to 25% and reduce the number of individual tax brackets from 7 to 3 (12%, 25% and 35%) and would double the standard deduction. It would also allow the expensing of depreciable assets other than structures for at least five years, immediately bring profits back from overseas and move to a territorial international taxation system. Commerce Secretary Ross stated that the right tax reform could bring as much as $10T to the GDP (increasing it by 1%) and $3T in additional federal government reserves. Banking regulators have floated a proposal that would simplify some aspects of rules around acquisition, development or construction (ADC) loans. Under the proposal, the definition of a high volatility commercial real estate (HVCRE) exposure would be simplified & standardized to apply a 130% risk weight vs. 150% currently. It would apply to credit facilities that primarily finance or refinance ADC activities. The proposal also makes changes to threshold deduction limits & minority interests. 1) First Reliance Bank ($437mm, SC) will acquire Independence National Bank ($90mm, SC) for about $11mm in cash (100%) or roughly 1.7x tangible book. 2) Centennial Bank ($370mm, TN) will acquire Merchants and Planters Bank ($87mm, TN) for an undisclosed sum. 3) Old Line Bank ($1.8B, MD) will acquire Bay Bank ($646mm, MD) for $128.6mm in stock (100%) or about 1.92x tangible book. A LendEDU survey finds that despite the fact that 84% of people have heard about the Equifax hack, a whopping 55% have not checked their credit or taken any action to remediate the issue. Reis reports US apartment vacancies have hit a 5Y high, climbing to 4.5% in Q3. Rates increased in 63% of metropolitan areas tracked as construction outstripped demand.